Barbara Johnson was an American literary critic and translator, born in Boston. She was a Professor of English and Comparative Literature and the Fredric Wertham Professor of Law and Psychiatry in Society at Harvard University. 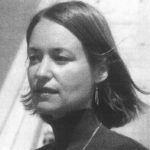 Her scholarship incorporated a variety of structuralist and posts tructuralist perspectives—including deconstruction, Lacanian psychoanalysis, and feminist theory—into a critical, interdisciplinary study of literature. As a scholar, teacher, and translator, Johnson helped make the theories of French philosopher Jacques Derrida accessible to English-speaking audiences in the United States at a time when they had just begun to gain recognition in France. Accordingly, she is often associated with the “Yale School” of academic literary criticism. "Patience is the ability to idle your motor when you feel like stripping your gears."